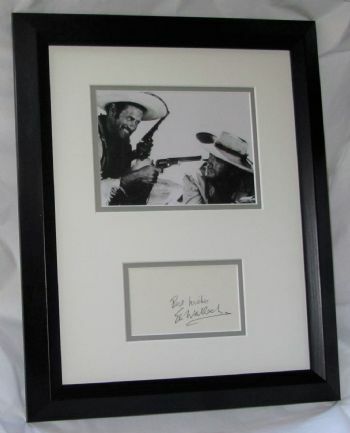 ELI WALLACH SIGNED MATTED FRAMED CARD. 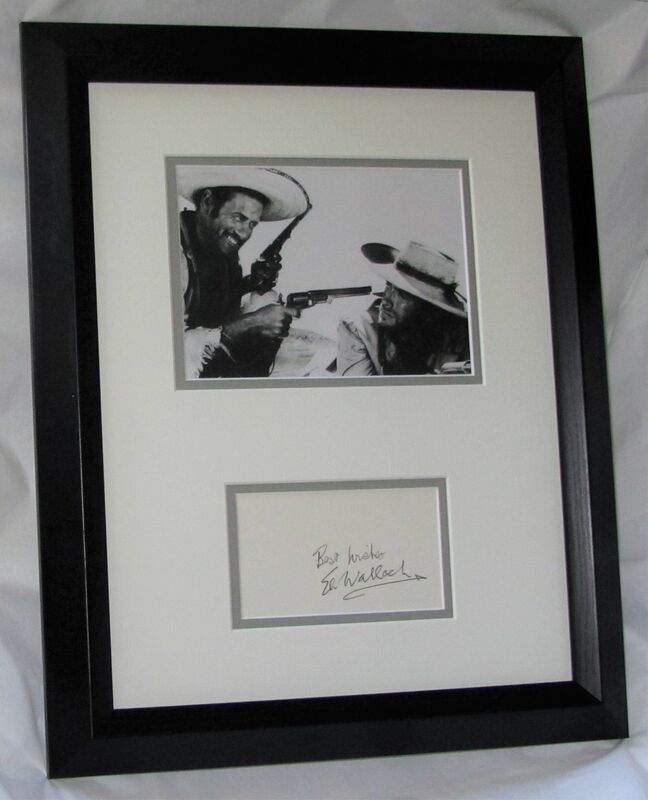 Framed and matted by us WITH 7 X 5 PHOTO FROM "THE GOOD THE BAD AND THE UGLY"
Lifetime COA (Certificate of Authenticity) and signed receipt with all contact details. With framed items if you do not want the frame please enquire for price matted item only. We back up with a lifetime refund promise to the original buyer if certified non authentic in writing by 2 recognised BONA FIDE authenticators.